Some of my fondest memories from my childhood are from spending time with my Mam or my Granny in the kitchen. The hours would simply pass by unnoticed as we made a variety of pies, cakes and biscuits. I can remember heading out with my Mam to find brambles hidden in the hedgerow to take home before making batches of bramble pie and bramble ice cream to keep us going over the coming weeks. I can still remember the first time we were making dead fly cake (aka fruit slice) and I declared that I was not eating dead flies, my Mam laughed and explained that they weren’t dead flies but currants it was just the nickname for the recipe as they looked like dead flies. Having these fond memories of baking is something that I’m keen to pass on to Roo and Tigger. Getting the children into the kitchen, letting them weigh out the ingredients, mix them all together and most importantly getting to lick the bowl clean afterwards. 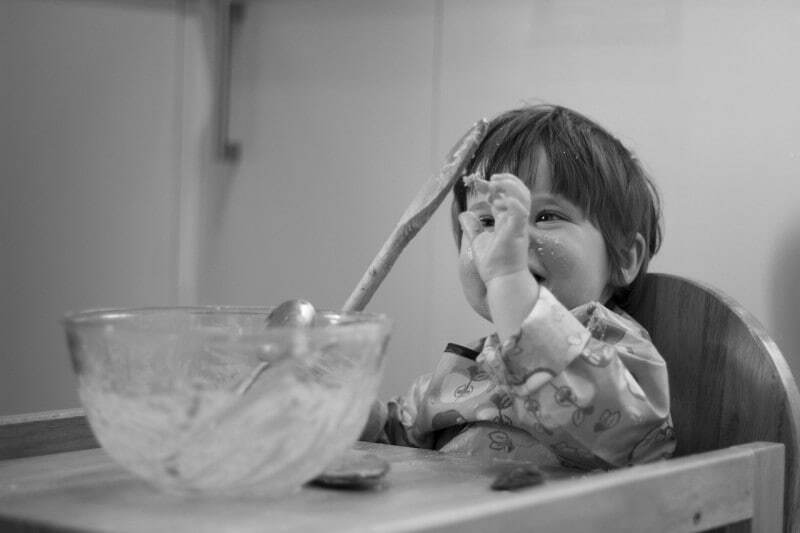 Creating mess in the kitchen is what it’s all about, getting flour in your hair, chocolate on our nose and batter mix on your clothes. At the end of the day the kids can be bathed and the clothes can all be washed with the help of Persil ready for the next baking session. Do you get your kids in the kitchen? Family cooking sessions are such good memories. 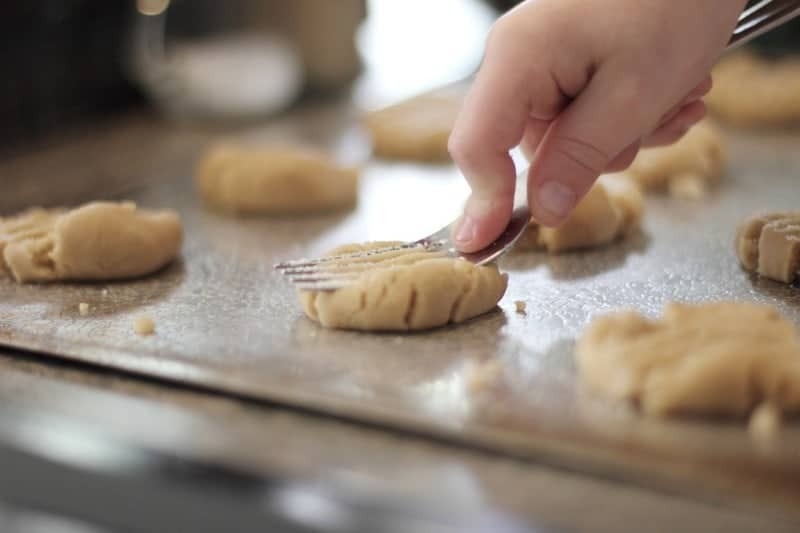 Mine were of making chocolate chip cookies – and eating them right out of the oven.